What can we learn from a celebrity chatbot? Are chatbots a smart new way to talk to your customers or are they just an annoyance? 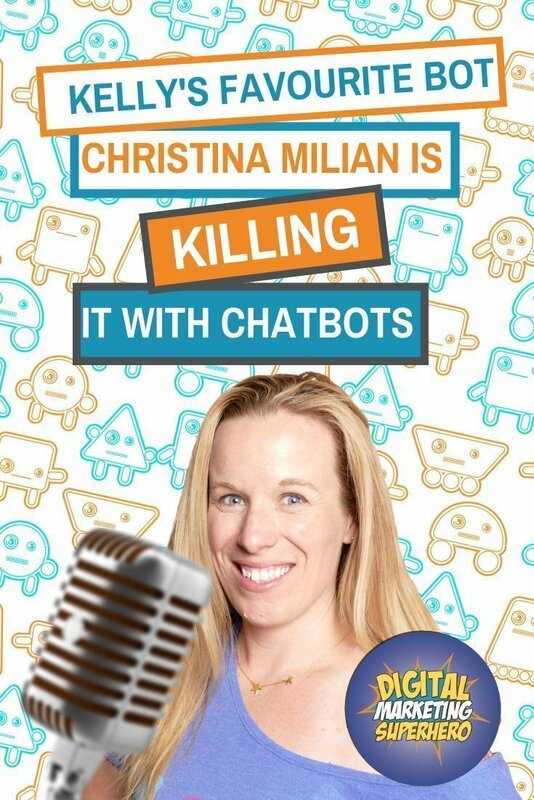 This week we chat to Kelly Noble Mirabella about a chatbot with personality. We discuss engagement rate and we have a botty superpower. Superhero Tips: Engagement rate – The best statistic for assessing social posts? One of the reasons so many businesses struggle with social media is that they don’t know how to measure success. I’ve talked about some key metrics in the past and I will share more with you in the future but today i wanted to demystify Engagement Rate and tell you about why it’s such an important statistic. 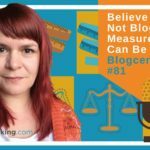 When you post on social media how can you gauge if it’s successful? What makes a successful post? Is it reach? Likes? Shares? I’m going to go out on a limb and say that although those stats are important Engagement rate is the true measure of effectiveness. Engagement rate is a measurement of how many people that you reached (or are followed by) engaged with your content, that includes likes, comments, shares and post clicks. The higher the score the more relevant the content was for the audience. By keeping an eye on engagement rate for individual posts you will get a better idea of what content is working. Keeping an overall score of engagement rate by network will give you a better idea of which networks are working best. If you are calculating your own engagement rate you can decide what counts as an engagement and apply it across all social networks. For a detailed guided on how to find your engagement rate for each social network look out for the blog post later this week. What is a good engagement rate? There’s no straight answer to this. It can vary by network and industry. I tend to recommend that when you measure you benchmark against yourself. So keep a regular record of your engagement rate statistics, calculate it once a week or once a month and plot your score over time. Look for your posts with the highest engagement rate and keep a swipe file of them. This will help you understand what makes an effective post over time. Because we have Kelly on talking about chatbots this week’s superpower is a tool for creating chatbots. I use Manychat to build simple chatbots. It’s straightforward to use, has it’s own training videos and includes simple flow building. It’s a nice little app if you are wanting to get started. It also includes widgets you can add to your website so that people can start a conversation in messenger directly from your site. Manychat is free to use on a basic package. For additional functions subscribe for €15.99 a month. I’m really happy to have you on talking about one of your favourite chatbot campaigns, and one I hadn’t heard of. Tell me, who is it? A lot of people are out there talking about brands doing this, but I’m really into what Christina Milian is using. She is a singer and an actress here in the United States. I mean, I’m sure she’s known elsewhere, but she’s based here. She is actually really, really into chatbots. She has one of the most popular chatbots out there, and I draw quite a bit of inspiration from her chatbots. It’s Christina Milian. Okay. Just before we go into it, explain what a chatbot does. Sure. A chatbot, in the sense that we’re talking about, which is for Facebook messaging, are the series of messages that you create as the builder to kind of drive a conversation down a road. But you allow the end user to feel like they have some control, very much like the Choose Your Own Adventure books of the 80s and early 90s, I guess, where people felt like they were a part of the experience. That’s where this idea of chatbots is. You build out different variations of messages, so lead them down a path with an end goal. And that happens in Facebook Messenger, or does it happen other places, too? Yeah. I use Facebook Messenger to do this, and the chatbot we’re going to talk about today is for Facebook Messenger, but it actually can happen in a lot of different platforms. Ironically, a lot of people think that they’re not … they’ve never used a chatbot, they’ve never experienced it, when in fact they have. Because Siri and Google and Alexa and all those voice-activated speaking bots, if you will, those are actually audio chatbots. Many people have utilised them and didn’t know that. But the ones I like to build are on Facebook. There’s other platforms that you can build them on, like Kick, as well, but most businesses are taking advantage of Facebook right now, because that’s the biggest one and probably the easiest one to build. Fantastic. Let’s start with this chatbot. If I go to her Facebook page … or do I go directly? Do I scan a code? How do I start a conversation with the chatbot? Sure. To get into her chatbot, you would just go to either her Facebook page, which is Christina Milian, and her last name is M-I-L-I-A-N, Milian, and you can just click on the “message” button. Or, you can go straight into her messenger bot by going to m.me/christinamilian. It’ll bring you right in. Then you just hit that blue “getting started” button, and she will start talking to you right away. There must be something special there, because I’m imagining you’ve seen thousands or hundreds, at least, of chatbots in your time. What Christina has done is she has actually brought so much of her personality, and she really uses the chatbot as an extension of her brand, of herself, so that she can really have a really personalised experience for her fans. It really personalises and humanises her and brings Christina right to her fans, which is an amazing thing to do with this technology. Do you think that’s what’s behind it, she wants to form a strong connection? Oh, yeah. Absolutely, yeah. I know for a fact that her biggest goal is to have a greater personalised experience for her fans. She’s actually been interviewed talking about the power of chatbots, and in fact, she is a partner … I don’t remember the name of the company, but she became a partner in a company that builds chatbots for other celebrities to kind of create this thing. The character Christian Gray has his own chatbot that her company built. That’s just one example. I believe also, for those of you that follow the Jersey Shore, the woman who is on called JWoww has a chatbot as well that was built by Christina Milian’s company. The idea is definitely behind getting in touch and having a personalised experience with the fans so the fans can really get to know the celebrity. When I go in and I start the conversation, am I asking a question? Is that what it’s about, or what’s the structure behind it? She has built it out so that it feels like … I mean, it’s structured, for sure. Let me just walk you through the initial steps, ’cause I have it pulled it up here. You hit the “getting started” button, and she says to me, “Turn it up, Kelly. This is where you’ll get exclusive updates and access to all of Christian … Christian … Christiana,” sorry, “Milian’s content in one place, and then start here or explore.” And I said, “Start here,” and she actually created this menu. Where do you want to start, get to know me kind of stuff. You can ask, Tina, is the bot’s name. You can ask, “Where do you go shopping? What do you like to cook? Who is your favourite music artist? What ethnicity are you? Do you have any pets?” And she will actually go through, like, “What’s your favourite movie,” and do this whole Q&A of main questions that a fan would want to know about her, to really bring that personal experience. She’ll go in and talk to you, and it feels like … You know it’s not her, but it feels like she’s definitely got her hands in it, and it’s a great experience as a fan. I’m not even a huge fan of hers, but I’m obviously a fan of her chatbot. I’m just thinking, when I was a kid, I had a crush on Michael J. Fox. I might be a little bit older than you. Oh, I know who Michael J. Fox is. Yeah, but maybe I was … Anyway, I used to spend … ’cause we didn’t have the internet then, I spent, you know, I’d buy magazines and I’d go and do all this research to find, you know, what’s his favourite colour? I think if I was a kid now, and there was a Michael J. Fox chatbot, obviously, wouldn’t be now, that would be just so exciting for me. It would definitely make me a bigger fan, if it was possible, than I already was. Yeah, exactly. I remember being a teenager and we would buy the Teen Bop magazines or whatever so we could learn all about our favourite celebrities. These were the things in those magazines. This is why we bought it. She has this sassy personality, which is really fun, but it also directs people to other places in her chatbot. In fact, after the 24 hours that I subscribed, I got another message within 24 hours and it just says, “Hey, Kelly, nice chatting with you yesterday. By the way, are you on Instagram? Tap below to follow me.” But then she has this little gif of her saying, “What’s your username? I’ll tag you.” It’s just a fun thing where it makes me feel special as a fan. That’s so cool, yeah. Absolutely. Do you think this is the way that a lot of that communication between celebrities is gonna go? Because obviously, as chatbots get more sophisticated, I think there are even some really sophisticated ones programmed with hundreds and hundreds of questions and answers. I know that you’re in California. Am I right? No, I don’t think it’s a problem at all, because even in her first message, it says that it’s a bot, it’s a chatbot. “I’m here to help you.” I think that’s the key in any chatbot, whether you’re in California or not. I actually talk about this in a couple of videos I have coming up on my YouTube channel, but how do you get a low block, right? How do you make a chatbot that’s not annoying, that people are actually excited to receive? Well, one of those things is let people know from the get-go, “Hey, I’m a chatbot.” You know? “And I can grab a human at any time.” Because if people feel like they’re supposed to be talking to a human and then they realise that they are not and they feel tricked, that puts a really bad impression on them. But if from the get-go they know they’re not talking to a human, then it’s almost like they let their … they relax a little and they start enjoying the experience, as long as your chatbot is, in fact, enjoyable. Yeah, absolutely. I suppose when you think about it, she’s a celebrity, so it’s different to the brands and the businesses we normally think of, but at the end of the day, she’s still got product to sell. 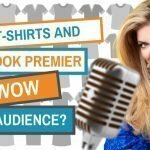 This is all about building a warmer audience, exactly the same as we’d be talking to when we’re talking to business owners about building a warm audience. That’s exactly what she’s doing. Oh, yeah, absolutely. I’ll tell you that I know that Christina … ’cause I’ve been reading a lot about her. I’m actually about to do a video about celebrities who use chatbots and how you can learn from them. I know that chatbots are by far her biggest platform. She has the most followers of any other platform she’s on, including Twitter, which is really big for celebrities. But you mentioned by the way that you see this as more of a celebrity thing. But that’s the exciting thing, is that it’s actually not just for celebrities. This concept can absolutely be applied to brands. Whether you’re a personal brand, which is really where I hear a lot of the pushback, are influencers and personal brands who wanna keep that human touch. Well, I get it, great, but you can use chatbots to still do that with this kind of concept. But even if you’re a large brand, the idea in the very beginning is, create a persona for your chatbot. Your chatbot assistant could essentially become its own persona and have a personality. It’s like a chatbot mascot, if you will. You can actually bring a lot of the same flair that humanises the brand even more, even though it’s a chatbot, which is really a unique perspective. Yeah, and I think that’s kind of important, isn’t it? And actually that gets me excited when I start thinking about creating little personalities and stuff. Maybe it’s ’cause I don’t have children. Yeah, right? Well, funny enough, my chatbot is actually named after my dog, so I have Mika Bot, my chatdog assistant. And you can learn all about Mika Bot within my chatbot, ’cause Mika has a little personality of her own as well. How cool is that? That’s a really interesting case study, and actually one I’m definitely gonna go and check out now. You never know, I might become a fan. You never know. Yeah, you never know. I’m a fan of her chatbot for sure, and it’s been fun to play along with it and see how that goes. I think that she is one of the early adapters in the celebrity world that are really taking it next level, and it’s pretty freaking cool. There’s actually quite a few influencers and brands who are utilising chatbots and they’re having a lot of success. I kind of geek out on this stuff. How did that start? Why chatbots? Well, funny story. I actually started using chatbots almost three years ago. I was on Facebook as many of us in the digital world usually are, and I saw an ad that basically said, “Hey, this is a new tool. Comment below and we will immediately send you a message.” I was all, “No, way.” No one was doing anything like this and I thought, “This is not even possible.” So, of course, I commented. And lo and behold, immediately I received a message in my Facebook Messenger talking about this tool. The tool was actually called MessageHero, which I think is still around today. It’s not nearly as possible as say, like, ManyChat or Chat Fuel or what have you. But I started utilising it and testing it out and it was really amazing to be able to send messages to people. But then I kind of sidelined it because I got busy, you know, squirrel syndrome. It wasn’t until 2017 in probably November or December that I was slowing down with work. It was time for me to focus on something. Every December, I don’t do any extra work. I just really wanna learn something new. I decided, “This time, I’m going to learn everything I can about chatbots and start playing with it. I signed up for ManyChat, I really starting diving in and oh, my gosh, I became obsessed. It’s just so intuitive and it works so well for someone like me who likes to geek out and test things. I just really started geeking out and doing it on the weekends while the kids watch cartoons and I drink my coffee. The rest is history. Down the road, I got coaching from Andrew and Pete and decided to take off with this crazy 80s themed chatbot tutorial thing that I’ve got going on with their encouragement. The rest is definitely history. I’ve been jamming those out for some time now. And just tell me where you could … ’cause I was gonna mention your YouTube channel. Tell me where I can find out more online. So, that’s definitely what you’re doing on YouTube? Yes, totally. If you wanna learn more about chatbots or about me, you can follow me anywhere at stellar247. That’s S-T-E-L-L-A-R 247. But on YouTube, same place, stellar247 on YouTube, you will actually find my Baby Got Bot videos, which are 80s themed chatbot tutorials. So if you’re into the 80s and to the point training tutorials on chatbots, that’s your spot. Thank you so much, Kelly. You truly are a digital marketing superhero. Welcome to the club. Dynamic. Engaging. Totally rad. 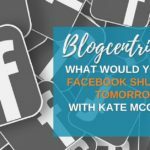 These are a few words you might use to describe your latest Facebook video … but they also apply to Kelly Noble Mirabella, self-described social media geek and marketing consultant with Stellar Media Marketing. 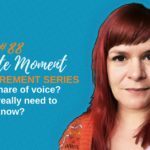 With more than 11 years of social media marketing experience—and more than a few wacky costumes—Kelly brings tricky social media concepts to life through her fun, clear and memorable social media training videos and presentations. Long before social media savvy was status quo, Kelly recognized how social media can take brand recognition, customer engagement and marketing efforts to a radical new level.